First up, I received the third book in The Paranormals series, Alexander Death, by JL Bryan. I love, love, loved the first two books in this series, Jenny Pox and Tommy Nightmare, and I can’t wait to see how the series ends. Look for Bewitched Bookworms’ spot on Jeff’s upcoming book tour for his Paranormals book tour later in October. 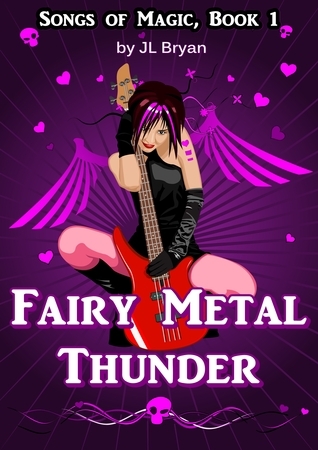 JL Bryan also sent over the first book in his new YA Songs of Magic series, Fairy Metal Thunder. Jason, Erin, Mitch and Mildred (“Dred”) are the Assorted Zebras, a teenage garage band in Wisconsin with no fans and no gigs. Then Jason sneaks into the fairy world and steals four magic-fueled musical instruments, the kind fairies use to enchant and trick humans. The new instruments make the band a huge overnight success, on their way to rock stardom. But the band members aren’t exactly ready for fame, fortune, or the supernatural creatures sent by the fairies to track them down. Those who know me in real life know that heavy metal is the kind of music that I prefer, so I’m looking forward to his paranormal spin on the garage band makes it big. Next up, I received a copy of Parallel by Claudia Lafeve. 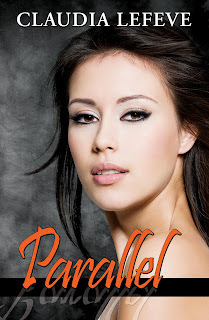 I had a chance to read and review Claudia’s short story The Fury, so I jumped at the chance to read Parallel. 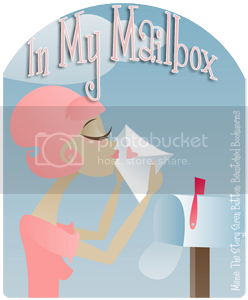 Look out for my review on Wednesday and an interview with Claudia this Friday on Bewitched Bookworms! Next, I received two books for review from Karina Halle in her Experiments in Terror series. The first book is Darkhouse. The second book in this series is Red Fox. 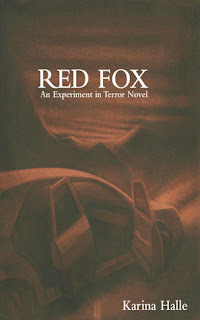 In the for­got­ten town of Red Fox, a Navajo cou­ple is tor­tured by things unseen and by motives unknown. Wild ani­mals slink through their house in the dark, a bar­rage of stones pound their roof nightly, and muti­lated sheep car­casses are turn­ing up on their prop­erty. Armed with a cam­era and just enough to go on, Perry and Dex travel to the des­o­late locale, hop­ing to film the super­nat­ural occur­rences and add cred­i­bil­ity to their flail­ing web­cast. Only their show has a lot more work­ing against them than just grow­ing pains. Tested by dubi­ous ranch hands, a ghost from Dex’s past, and shapeshift­ing decep­tion, the ama­teur ghost hunters must learn to trust each other in order to fight the most ancient of myths…or die trying. So that’s my mailbox, happy reading. But before you go, be sure to check out our Fall Clearing Giveaway where we give away a book a day. 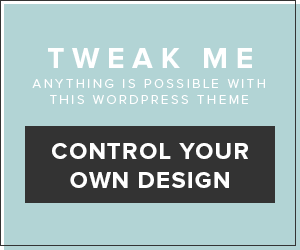 You enter by leaving a comment on the days’s post! Fairy Metal Thunder sounds so cool! I have heard great feedback on it so far. Great haul this week! 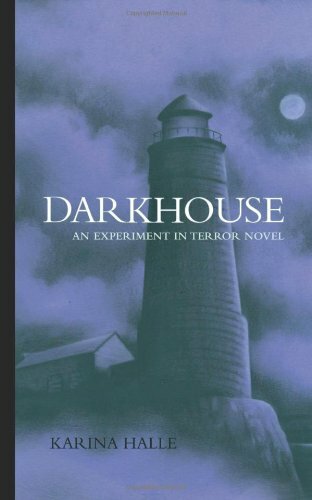 I need to read Darkhouse! I received it from the author as well and I haven't had a chance to read it yet (I'm sooo behind). It will be a perfect read for October/Halloween! Enjoy :). wow, I haven't really heard of any of these! Looking forward to seeing what you think of them! Happy Reading! 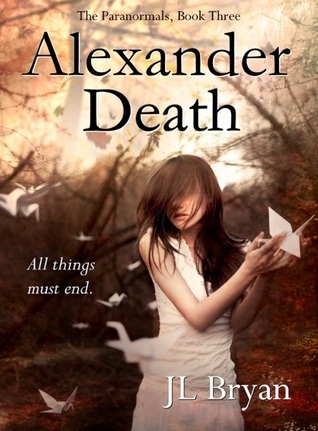 The cover for Alexander Death is gorgeous!